Sure, the crisp, cool taste of a cold bottle of water can be quite refreshing. But is it an honest business? The bottled water industry is making a killing in beverage sales, where bottled water practically outsells the marketing of soft drinks. As per the NRDC, approximately 25% to 40% of bottled water comes from the faucet. With these facts, the average consumer would want to know why pay for a beverage that gets delivered at no cost directly into one’s home. Dasani (from Coca-Cola) and Aquafina (from Pepsi-Cola) are really from municipal systems of water. Sadly, bottled water (most of the time) is really filtered, which can be accomplished at home. 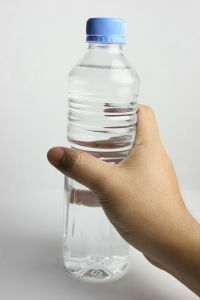 The middleman gets paid and consumers feel that they are healthier and environmentally aware for buying bottled water. The wise consumer can actually gain with a PUR water filter on the faucet and receive clean drinking water for approximately $15 for at least three months. Bottled water consumers even become engrossed with the recycling of plastic bottles to improve the environment. Approximately 4 pounds of the chemical carbon dioxide is released into the world’s atmosphere just by the manufacturing of plastic for bottled water. It’s amazing how much petroleum is actually consumed in this process—this averages to about a quart of petroleum per consumer. Bottled water can cost at least four times as much as the already costly gasoline, with prices about $10 a gallon. Considering the soaring prices of gasoline, this is shocking news. Moreover, only approximately 12% of plastic bottles for water are recycled, as natural resources are used to bottle and clean water. Lethal gases are released into the earth’s atmosphere with the burning of plastic water bottles at your local landfill. Now may be an ideal time to realize bottled water is a rip-off. Unfortunately, many parts of our nation do in fact have unsafe drinking water. Switching back to the dangers of unsafe tap water is certainly ill advised. It’s a good idea to check the situation with the water in your region prior to drinking water from the faucet blindly. Several water reports may deem the tap water in your area as unsafe by local officials. Either boiling water can possibly best produce delicious drinking water before placing it in the refrigerator to cool (this process may be a bit old-fashioned, but it’s still better than taking a chance with unsafe water), or the simple purchase of a PUR water filter for your kitchen faucet. Water here in Hawaii by national standards is suppose to be very good, I have no problem drinking from the tap. I do filter my water in a Brita water filter pitcher though. I also purchase bottled water (Costco) but drink it for convenience and when I’m on the go. I find it funny how water bottles put the nutritional facts on every bottle, I know it is probably required but how dumb to they think we are. Hawaii also has a beverage fee of 5 cents for every bottle sold, if you recycle your cans and bottles you get your 5 cents back. This has really increased the recycling rate and has been good for the environment as well as the state (More money to burn). When ever I travel I tend to drink bottled water, again it is very convinient. When go to Las Vegas I usually don’t care to drink tap water, call me paranoid but I don’t care to drink water from Lake Mead (yikes). I do like the tap water in Colorado, again it might be mental but I think it tastes good and fresh. So how is the water where you live? Please share your experiences. I used to live in a rural area where we received well water rather than “city water.” The well water was okay, but every now and then, the tiniest amount of bleach had to be added to the well to kill off germs. I have no idea how this process is performed, but I do know that we were all well-aware of when the bleach had been added; our showers and drinking water smelled bleachy. It was gross, so we started filtering our drinking water with a Brita filter, and it’s actually pretty good stuff then. My only reason for purchasing bottled water is for convenience. When I’m at home, I pour myself a glass of filtered water rather than open a bottle. I know I can always refill my water bottles instead of buying new ones, but for some reason, I just never want to take the time to clean them out and do it. Yes, I know it’s lazy. I do feel guilty sometimes thinking about how much waste I’m creating by not reusing my bottles, but it doesn’t seem to stop me. It’s strange; I care about the environment and what we’re doing to it, but not enough to do something myself about it. I think I have that whole “if I’m the only one doing it, it’s not going to make a big difference” mindset. I digress. After reading about how Aquafina and Dasani water is from municipal systems I’d definitely not even bother buying those 2 brands if I can get the same kind of water out of a water filter at home. I’m really considering just buying a water bottle and refilling it. I think in all honesty water should be free! I wonder just how many people read it. (It was the first time for me in 18 years.) It is the chemical,mineral & trace element break down of what’s in our city’s water. In small print on the bottom of the page it states if anyone suffers a immune disease or a weak immune system then they suggest not to consume the city’s water. I purchased a filter water pitcher,have a filter attached to my kitchen sink also. My body no longer produces salvia due to Radiation therapy 5 years ago. I had a very rare form of oral Cancer that I got from Herbicde’s used on our food & from the enviroment. so I consume vast amount of water daily. When I heard about these companies pulling the wool over the publics eyes I just about cried. What’s a person to do? It’s not good to re-use the plastic bottles when ones immune system’s been compromised. Are you all a bunch of idiots?? Where did you think the water was coming from, a spring somewhere? I wouldn’t want to drink water from some spring where animals and who knows what else is peeing upstream. I always knew, and most intelligent people knew also, that Aquafina was water that was filtered for purification and obtained form a local source. You have told me nothing I didn’t already know. So much for your big annnouncement! Thanks for the comment, surprisingly a lot of people don’t realize this due to the major bottled water company’s marketing. I have to admit their marketing is excellent, their actual product not so much. How can I reproduce at home the filtration process Aquafina uses? Nestle Pure Life, Dasani and Aquafina are all good though, with Aquafina being my favorite. To me, Aquafina is not a rip-off at all, but rather a great product. I feel kind of bad for wasting all the empty plastic bottles, though. If they actually make it from municipal sources, please tell me where I can buy a filter for making it myself! Come on people, wise up! Bottled water is nothing but tap water and the big companies are sucking you dry. It’s all in your head. Like the gentleman said, it doesn’t come from a glacier or a mountain spring (he mentioned pee, but didn’t mention decomposing animals and run off from God knows what). My wife hates me for saying all this to her cause she knows everything and she thinks that nothing comes close to bottled water. Here’s what to do: Get several friends that drink bottled water and preform a test. Do get Smart Water, Aquafina, whatever and make sure you have at least 4 different choices. Put TAP WATER in ALL the glasses with labels A,B,C…(have some bottles of ligit water to display. Hype it up. Tell them A is Smartwater, B is Aquafina… Even throw in stuff like Everest or Fugi, etc. Ask them if they can taste the difference. They will tell you they can definitely taste a difference. Then tell them they’re Full of BullWater. This has worked for me and it was soooo cool to put them in their place. I’ll take my deep-well water any day! Joe – while I’m sure that is the case in lots of places, like in Norway, and I guess wherever you reside, it is definitely not the case here in southern California. I would bet a million dollars on that I would be able to tell the difference between our tap water and Aquafina in a blind test. Even if the tap water was filtered through our fridge filter. I’m sure you would too. However, I admit that I might have problems separating Aquafina from Dasani, even though I claim to like Aquafina better. Of course, if you can’t tell the difference, then you should not spend money on bottled water. This is very true. I have a water filter at home. I can’t stand the taste of bottle water, shouldn’t they be tasteless. Plus all of those bottles, that is a lot of trash. Aquafina is just boiled tap water it’s a true rip-off. Mr. Cheap Stuff – perhaps you should consider investing in a stainless water container to take with you on the go. You can just fill it up from your Brita pitcher before you go. It will save you money and reduce your environmental impact. Recycling is better than throwing plastic away but ultimately consumption habits much change. The bottled water industry is really awful and not something I would recommend supporting, despite its convenience.